We believe that it is of paramount importance for you to check the condition of your roof on a frequent basis. If your roof is damaged, you could potentially face water leaks. The water leaks can, in turn, play a large role in ruining the interior of your home by damaging surfaces and introducing mold. 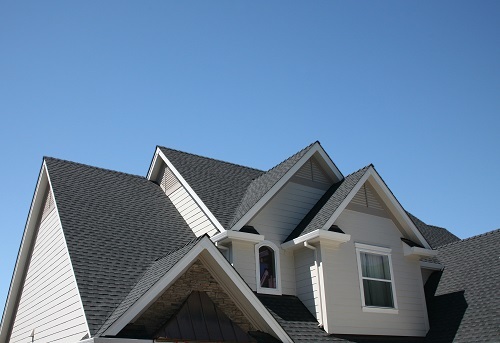 We truly believe that you should spare no expense in purchasing only the best roofing materials. We can assure you that it will be by far one of the best investments you will make into the long-term maintenance and structure of your residence. It is even more necessary for you to provide more protection to your home if you live in an area that is prone to harsh weather conditions. If that´s the case, you should choose to install roofing materials that are best suited to combat storms, hail, and unfavorable weather conditions. You should ensure that the guttering and roof are installed and maintained properly. In addition to that, you should also make sure that debris is frequently removed from the gutters and downpipes. If you want to ensure that the roofing installation process goes as smoothly and as swiftly possible, you will need to prepare appropriately. If you don´t know how to go about things, you can always hire the services of professionals who can guide you through your roof installation. However, fret not, as we are here to help you as well. Without beating about the bush any further, here´s how you can prepare for the installation of your new roof. 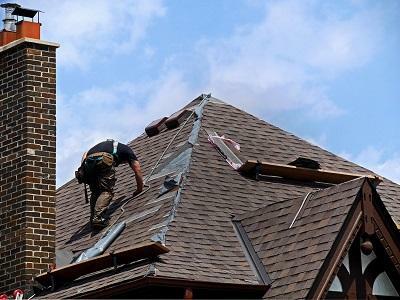 It goes without saying that the roofers will need access to your roof to get the job done. Thus, it is essential for you to clear one side of your driveway for the collection of roofing materials before the start of your roofing installation process. Doing so can also help you protect your cars and other valuables. You can protect your vehicles from the roofing materials by moving them away from the installation area. If you have grills, patio furniture, or other items near the house, it is advisable for you to move them into the garage or cover them with a plastic sheeting while the work is performed. In order to clean your property properly during and after the installation, there will also be a need for you to provide the contractors with access to different areas of your yard. During such times, you need to ensure that the gates are unlocked and that your pets are secure. Giving the roofers the space and access they need will prevent unnecessary construction delays. Keeping the items in your attic space clean and in top-notch condition during the roof installation process is almost an impossible task. Of course, the contractors will clean debris from the attic and handle the items there with care, but there is no guarantee that they will manage to keep all the dust and debris off stored items. There´s simply no getting around the fact that roofing is a dusty and messy job. Thus, if you have items stored in the attic that are fragile and can be harmed by debris or dust, you should remove them before the start of the roof installation process. If there are particular items that are too heavy or bulky to move, you should consider covering them with a protective layer such as a plastic sheet to protect from dust and debris. After the completion of the installation, it is imperative for you to keep your attic entrance open to get rid of the dust or debris. Your residence will transform into a temporary construction site when the roofing installation process starts. Some children are curious about construction and may want to approach the workers if left unsupervised. Therefore, it is essential for you to keep your children away from the work area at all times. During construction, various materials and equipment will also remain around your home, even when the workers aren’t around. Nails, ladders, tools and sharp metal flashing can present a hazard to children of all ages. You should remind your children of the possible dangers of those materials and keep a protective eye on them during the installation process. It would be wise of you, as a parent, to keep your kids indoors while the crew is on site. Many pets have a heightened sense of hearing and are often not comfortable around strangers. Therefore, these pets can find the noise and presence of unknown people during the roofing installation process a very unpleasant process. In addition, some pets may inhale or swallow hazardous construction debris. If you don´t want your pet to go through a stressful ordeal during the construction process, you can consider asking a friend or family member to pet-sit or board your pet at their vet’s office. Of course, you have no option but to experience the commotion that takes place during the roofing project. However, it would be polite of you to alert your neighbors about your installation project beforehand. It is advisable for you to take the initiative. Notifying your neighbors in advance allows them to move their vehicles if necessary. Most importantly, the act of notifying the neighbors lays the foundation for a positive tone in case they have issues during or after the installation. If you hire the services of an experienced contractor, they will go above and beyond to minimize the inconvenience to your neighbors. They will clean up well and will be considerate of your neighbors. 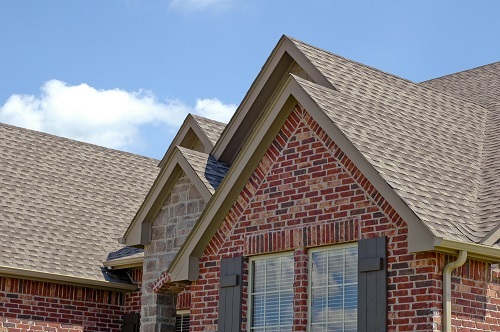 With a little preparation, roof installation doesn’t need to be a source of conflict. Taking precautions before construction begins can go a long way toward ensuring that the process will be as smooth and safe as possible.